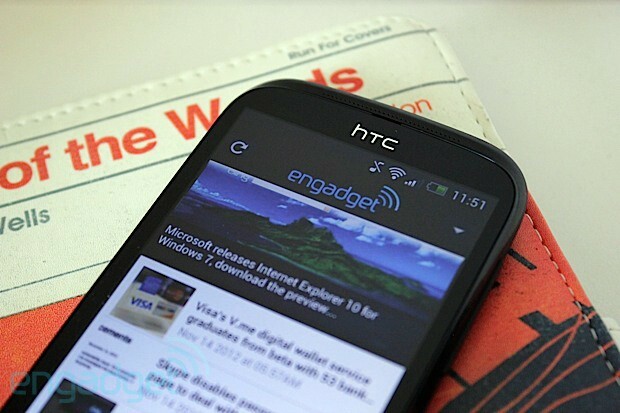 HTC Desire X review: one last hurrah for a former flagship? 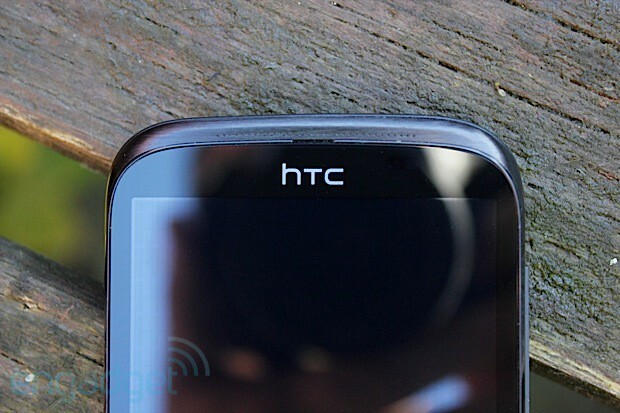 Before we go into more detail on HTC's Desire X, cast your memory back to a time before the outfit announced the "One" line of Android phones. You may remember names such as Wildfire, Sensation, Rhyme and, of course, Desire. Likewise, you may also remember a certain amount of company talk about its plans to simplify its Android offerings, and turn out phones at a slower, more considered pace. So, it was a little confusing when we first heard about the Desire X. HTC already had an affordable phone, the One V, but seemingly deemed it not affordable enough -- and the Desire C already fills the most entry-level position. With a 1GHz dual-core processor, a WVGA (800 x 480) display and a 5-megapixel camera, the specs are from the same era as the OG Desire, but with a slightly more current price: €299 in Europe. So, stripped of any "One" branding, but bearing a name that many will remember fondly, is the Desire X a good phone that's been reinvented, or just a throwback from HTC of old? We spent some time in its company to find out for ourselves. If you're looking to make the leap from featurephone to something a little smarter, this is an ideal stepping stone, but don't be surprised if in 12 months you're wanting to upgrade again. How would you rate the Desire X? If you examine the spec sheets of the original Desire and the Desire X, you'll see that in the two years or so that separate them, the screen has grown from 3.7 to 4 inches (capacitive buttons are still present on the X); there's 768, rather than 512MB of RAM; and the 5-megapixel camera resolution has remained the same. The clock speed hasn't changed either, but you're getting an extra core this time with the Qualcomm MSM8225 Snapdragon chipset. Not everything is looking back to the past, though. The perimeter to the camera is made from ridged plastic that almost feels like a cut-out from a vinyl record. The phone's overall design takes some cues from the One line, which gives it a modern look and feel. Starting at the back, the removable battery cover has a matte, almost soft-touch finish, save for a plastic section surrounding the camera lens and LED flash. The perimeter of the camera is made from ridged plastic that almost feels like a cut-out from a vinyl record. Beneath this is an HTC logo embossed at 90 degrees, and a Beats audio badge along the base. To the left of this branding are some tiny drilled holes that cover the speaker. This rear shell also contains holes for the headphone jack, micro-USB port and mic, as well as the power / stand-by button and volume rocker. There isn't, however, an ingress for you to slip a fingernail under if you wish to remove it; instead you'll have to work something into the gap where there's a touch more leverage (mainly around the top). The bonus here is that it makes the phone look like one solid unit. The downside is that getting under the hood is a clumsy undertaking. Once you've found your way in, though, you'll find a 1,650mAh battery, plus full-size SIM and microSD slots. It's when you find your way back to the front of the device that its family lineage is most apparent. 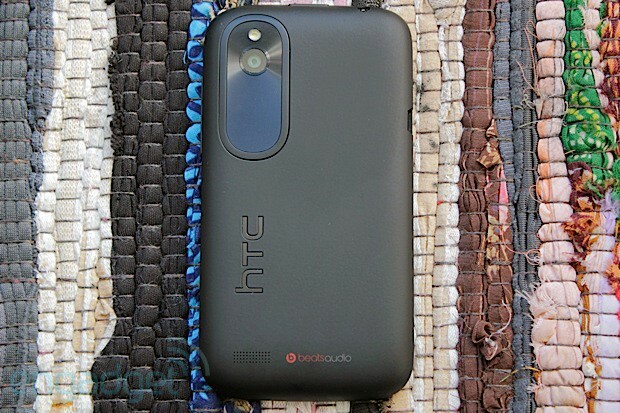 Aside from the tiny drilled speaker holes up top, and the Android 4.X-flavored capacitive buttons along the bottom, the resemblance to the Desire S is strong. There's the familiar two-tone bezel at the bottom, where the brushed-finish fascia presses itself next to the matte detail cover reaching around from the back, meeting on the phone's distinctive family chin. As you work upwards around the edges, that brushed finish carries on up the sides, and flanks the gloss black of the frame around the display with sharply cut edges. These edges are actually sharp enough to become uncomfortable with prolonged, firm gripping. It's that 4-inch super LCD display that is probably one of the more surprising elements of the phone. With a rather average 800 x 480 resolution, you might not be expecting much. But the non-PenTile screen is laminated, reducing glare and making colors really bright and vivid. That, in combination with the not overly large size means that, while there might be more pixel-dense displays around, what you're getting on the Desire X doesn't appear to be low-quality, or second-rate. Whites appear untainted and clear, but blacks render a little bright, with light coming through and a subtle bluish tone throughout. It's not to the point of distraction we must add, but it's noticeable when put side by side with another handset (a Galaxy Nexus or Acer CloudMobile, for example). You'll be pleased to hear that the vivid image reproduction also doesn't come at the expense of overbearing contrast levels either, with photos and videos appearing to have similar levels to viewing the same file on a desktop. The Desire X's radio will tune in to GSM / EDGE (850/900/1800/1900) and HSPA+ (900/2100), but there's also Bluetooth 4.0, GPS and single-band 802.11b/g/n plus support for DLNA. The built-in media player has a feature that will let you "select a player" for sharing with compatible devices. We tested this with a Samsung SmartTV on the same WiFi network, and the phone found it instantly. Once selected, the video we chose started playing, without us even touching the controls on the TV once. A little bit brutal perhaps, but it works. There's only one camera to concern yourself with here, and that's the 5-megapixel shooter on the back. 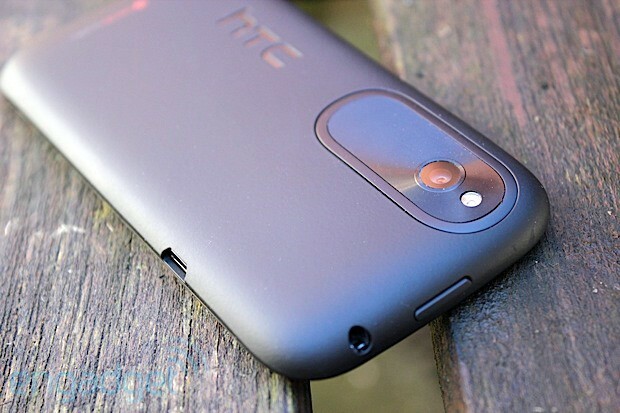 It comes with HTC's dedicated ImageChip / BSI sensor, has an f/2.0 aperture and 28mm lens. There's autofocus, which seemed quick and responsive for photos (less so for video), but you can tap to focus too, should you want something in particular to get more attention -- or if the phone doesn't get there itself (this never happened to us in our tests). If you like to meddle with your pictures a little once you've taken them, the vintage, sepia, vignette effects et al are still here to help you get your filter fix. In the camera app itself, there are the same features that we've seen already on other phones with Sense 4.0. That means you get the ability to take stills while shooting video, and continuous shooting mode, just by keeping your finger down. The latter of those two features works pleasingly well, with images firing off quickly, popping up in the gallery right away. The settings, flash and "mode" menus remain on screen at all times, and let you jump to HDR, Panorama or any of the other scene presets (landscape, close-up and so on) with ease. If you like to meddle with your pictures a little once you've taken them, the vintage, sepia, vignette effects et al are still here to help you get your filter fix. As for the pictures themselves, we found them to be generally pleasing, with good low-light performance in HDR mode. Not everything was quite as sharp as we'd like when we were shooting at night in Auto mode, and colors were sometimes prone to looking washed out. But in more ideal conditions (say, a brightly lit room, with a static target) you'll definitely be able to produce some satisfactory shots. As for the video side of things, there's no HD shooting, sadly, with resolution still maxing out at WVGA, or 800 x 480. We took a few sample clips, as you'll see below, it's a fairly far cry from some of the more pixel-dense / 720p competition (this is one of the specifications where the One V wins out), you can still capture some serviceable video that'd be okay for sharing with friends, or for casual YouTube memories, but for more important memories, you'll be wanting to use something else. Somewhere under that Sense UI, is Android 4.0. So, we're not all that far behind in terms of core software. And, while it's not been confirmed that the Desire X will get Jelly Bean, it's also not been ruled out -- unlike the Desire C and the One V, both of which miss out after HTC claimed they don't have enough RAM. Those not coming from an Android background at all will likely find it an easy in-road to the operating system's universe. As for that slathering of Sense, well, we already made our thoughts on it pretty clear in our review, but to recap, it's a clear improvement over previous incarnations. Rather than rake over the same likes and dislikes as before, we'll look at it from the perspective of the Desire X. The first thing to mention is that, while the UI generally feels cohesive, and blends in well with Android's native features, if you are used to stock Ice Cream Sandwich, Sense might slow you down at first. That's especially true on a phone such as this where there's relatively less processor punch (more on this later). If, on the other hand, you're migrating from other skinned versions of Android, or older iterations of Sense, then you're probably going to feel at home. Those not coming from an Android background at all will likely find it an easy in-road to the operating system's universe. Menu options are generally intuitively located, and features such as the lock screen widgets help it feel modern. There are some simple tweaks that we really enjoy, too, such as the mini-weather widget that appears in the calendar showing you how each day in the near future is expected to turn out, and the 3D rotating home screens add a little contemporary flavor. As already mentioned, those quick shortcuts from the lock screen will be a great time saver for many too. One minor quirk we noticed was that notifications for email took a long time to clear if, for example, you deleted new mail on a different device. You might think more messages have arrived and then check the phone, only to find it's the message you deleted nearly an hour ago. One last software feature that's worth mentioning is Beats audio mode. The collaboration between HTC and Dre's headphone brand has been going on for some time now, and has received mixed responses. The Desire X even has a Beats logo on its backside, so we thought we'd give it more than just a quick listen. We set some music playing, and then piped it through a PC, recording sections with Beats enabled, and again with the feature switched off. Our main takeaway? Beats makes things loud. Very loud. We wanted to see a little bit more of what was going on, so we inspected the waveform, and put a spectral analyzer on the track to see the changes in sound in real time, both are in the image below. As you can see, in the lower section it's instantly clear when Beats is activated (the thick part of the wave) and when it isn't. This thickness represents volume, and a good few decibels of it, too (around four to five). The top part shows a snapshot of the signal. The lower, stronger line is without the feature, and the taller, fainter one is the curve when Beats is on. It's pretty clear that there are big boosts around 100Hz and below (bass) and 1kHz (mid-high) ranges. This represents a curve you might introduce with a multi-band EQ on a home stereo if you wanted to crank up the bass, and balance with some "sparkle" higher up the spectrum. 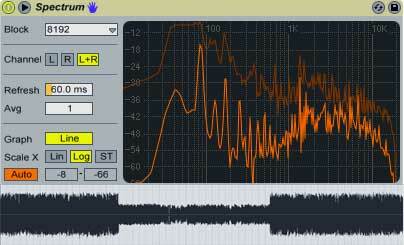 In short, it's juicing up the sound in a very similar way to other equalizer presets on other players. Great if you like it loud. In short, it's juicing up the sound in a very similar way to other equalizer presets on other players. When we first got our hands of the Desire X back at IFA we weren't terribly impressed with its performance. In the short time between then and now, very little has changed. Users coming from older, lesser-specced phones might find this a bit of a treat, but if you've used anything with a little more processor muscle, it can feel a touch slow. Navigating screens and flicking through menus has that slight feel of a pro sports player that's seen better days. Quick, it but won't nudge out the competition. The 1GHz dual-core Snapdragon S4 8255 and 768MB RAM are going to hold out for now, but if you're entering into a two-year contract, be aware that it might feel outdated long before your upgrade appears on the horizon. We spent a lot of our downtime thumbing at a range of casual games, and there's certainly nothing bad to report here, though it's not a device we'd recommend for anything more graphically intense. In our general use (i.e., outside games) we did experience the occasional flicker and screen glitch. Not all day, or all the time, but perhaps once or twice throughout the morning we'd catch it when changing between apps. When we repeated whatever we were doing in hope of reproducing the glitch, it never occurred twice in close proximity. To get a better idea of the phone's strong and weak points, we put it to the benchmarks to decide, as you can see below. SunSpider: lower scores are better. Xperias were tested on GLBench 2.1 and Vellamo 1.0, which are now obsolete. So, it's a mixed bag as far as numbers go, which roughly reflect our anecdotal experience, too: generally good, with the odd glitch in performance. As for the battery, with a 1,650mAh cell under the hood, and some potential savings to be made from the smaller screen, it managed a reasonable six hours and 33 minutes in our standard video rundown test (WiFi on, but not connected, and brightness fixed at 50 percent). In real-world use, we'd get well into the following day before we'd start getting nervous about finding a power point. If you're the sort that switches off overnight, then it might even last a full two days with moderate use. We already mentioned some aspects of the audio, but not everything is all about the Beats; you may also want to make the odd phone call or two. And if you do, then you'll enjoy them just fine. Voices sounded clear and crisp. As for data, again, we put the HSPA+ radios to test at various places around London, and found download speeds to be well within the normal range of what the O2 network had to offer in those areas (between 3 Mbps and 4 Mbps), with no obvious breaks in connection or service. We liked the idea of HTC doing away with its confusing approach to phone releases, and seemingly random naming convention (Sensation? Explorer?). 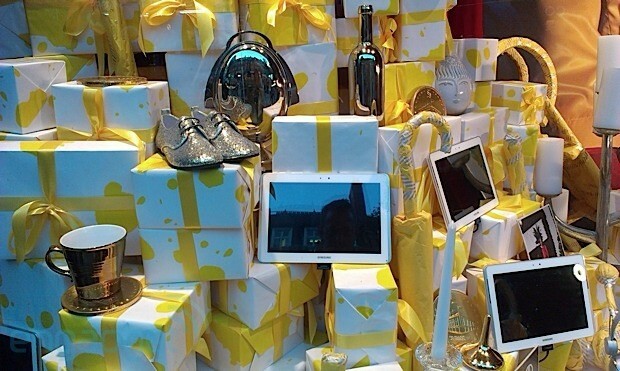 So, we're still a little curious as to why the Desire brand lives on. The Desire C is much lower spec, but confusingly, the low-but-premium One V gets bested by the Desire X on some key features (notably RAM and number of processor cores). So, is it all about design and build quality? Or old habits sneaking back in? 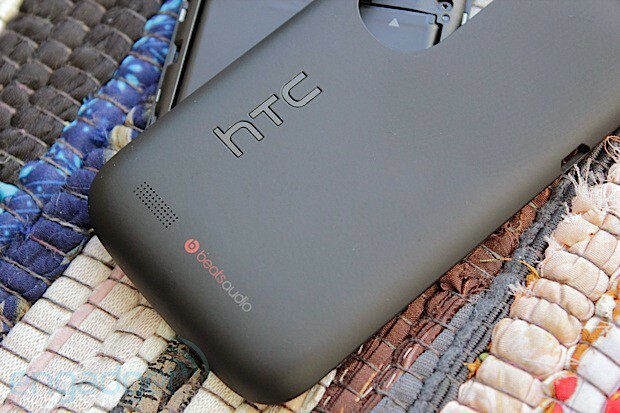 Perhaps the Desire name is just too intertwined with HTC's heritage for the company to give it up fully. Whatever the reason, the Desire X exists. More importantly, should you want one? This is mainly a question for shoppers in European and Asian markets, particularly those looking to spend around £220 / €299 SIM free. If you are looking for a mid-sized phone, aren't wed to stock Android and doing things like taking casual snaps and playing fun games on the way to work, then you won't be disappointed with the Desire X. If you want a little more from all of those categories, you might soon find yourself asking a little too much from this phone. More pressing, is the issue of longevity. The phone might be able to keep up now, but as time -- and software requirements -- march onward, the Desire X could start to age very quickly.